Welcome to the office of Dr. Rebecca Pounds, where form and function are brought together to create lasting, brilliant smiles! Dr. 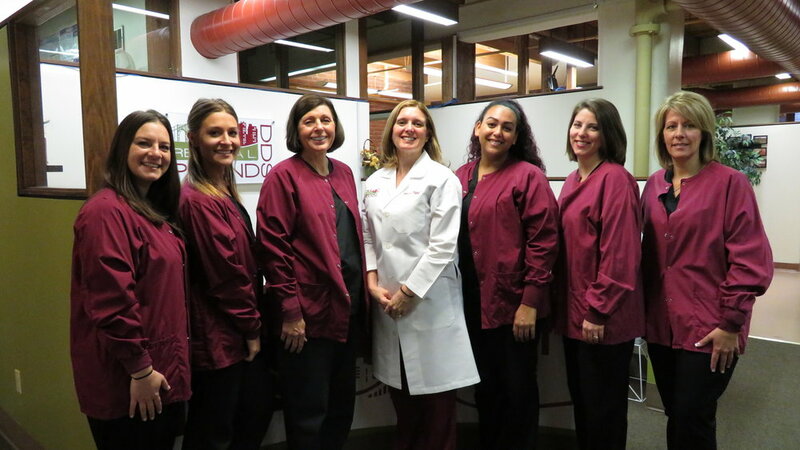 Pounds and our entire team are eager to give you a dental experience that exceeds your expectations. Our practice is built on solid patient / doctor relationships, and your trust and participation in your oral health is key. We believe dentistry should be a positive experience, with patient comfort as a priority and the ultimate goal being a fully functional smile that looks and feels natural. Dr. Pounds is a practitioner of Bioesthetic Dentistry, which looks at the entire mouth – from teeth to gums to jaw – and brings everything into alignment for optimal function and form. This type of dental approach naturally results in a beautiful smile, which can last a lifetime with minimal wear to the teeth. Our downtown Pittsburgh dental office is conveniently located in the gorgeous Hartley-Rose Building, where we have endeavored to create an atmosphere that is relaxed and inviting. Our reception are and treatments rooms are well appointed and spacious, to ensure your visit is as comfortable as possible. Please feel welcome to call and schedule a convenient time for a tour and a consultation with Dr. Pounds.